Kalli grew up riding horses in San Antonio, Texas, attending her first horse show at the young age of 8. 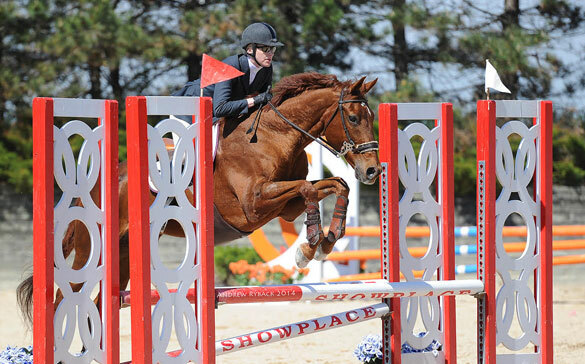 With guidance from various experienced and knowledgeable trainers, including Johnny and Claudia Conn of Twisted Oak Farm, her passion for horses and the hunter/jumper sport inspired her to work through the levels from the Pony Hunters through the Junior Jumpers at a young age. Upon graduating high school, she attended Texas A&M University and then she pursued a law degree at the University of Texas. All the while, she continued to ride. 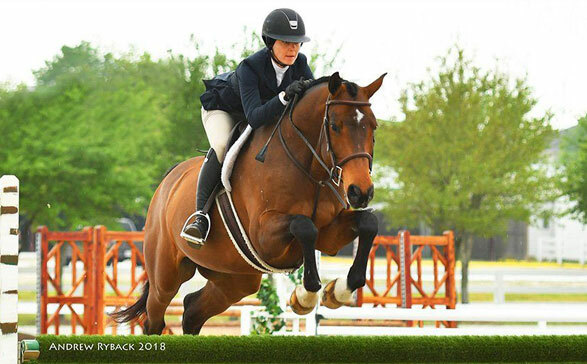 As a college student on a budget, she inherited different project horses and studied under dressage trainer Michelle Voorhees. 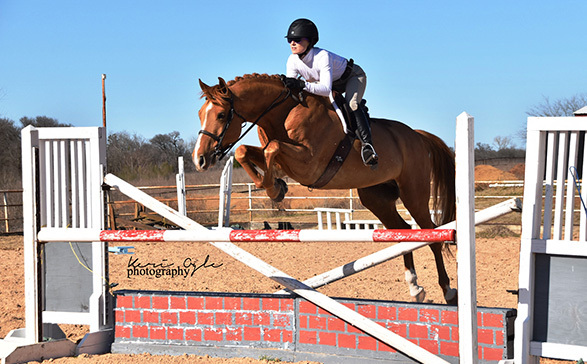 At the University of Texas, Kalli rode under Glenn and Phoebe Johnson of Switch Willo Stables before moving to California and working with hunter trainer Tracy Burroughs and jumper trainer Mike Neilson. Karolina offers deep and long experience in riding, showing and horsemanship. When she was 8, she went with a friend to a local Welsh Mountain stud to have her first horse lesson on one of the old broodmares, and never looked back. She has continued to ride and develop herself as a horsewoman, rider and hunter/jumper ever since. After high school she took a year off to train and manage a barn in Sweden before attending college. She continued to ride, jump and show throughout her adult life, combining her horse riding with a Marketing Degree, a professional career in Marketing and eCommerce, and raising her two daughters. Karolina is a passionate student of horsemanship, jumping and riding, and she’s developed her approach with the help some of the most prominent riders and horse trainers in Sweden, including Helena Persson, seven times Swedish champion and the reserve for the 2012 Swedish Olympic Equestrian team and Lars Parmler, a horse trainer of the Swedish national equestrian team, and a student of Nelson Pessoa and George Morris. She boarded her first show jumper at a barn right in the middle in the city of Stockholm and showed successfully in the same jumping arena that hosted the 1912 Olympics. Jessica has dedicated her professional career to sharing her respect and passion for horses and the sport. Jessica enjoys working with children and adults of all levels, and is adamant about enabling the horse and rider pair to reach their equestrian goals. Jessica grew up riding horses and ponies outside of Boston, Massachusetts and started competing in primary school, along with her education in horsemanship. She has had the privilege of riding with and learning from notable instructors and trainers from multiple disciplines including, but not limited to Daniel Bedoya, Beverly Monroe, Carsten Myer, Deb Rosen, Jill Weinstein, Gail Harington, and Dottie Morkis. She received a full tuition scholarship to the prestigious Hamilton College and co-founded the Hamilton College Equestrian Team, in which she competed successfully in the top divisions.